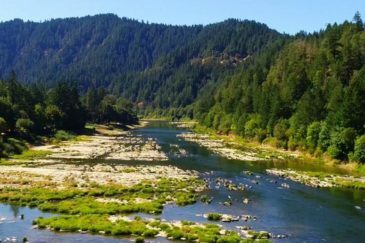 Just 15± miles east of Chemult, Oregon, lies the crown jewel of Sellers Marsh… a large mountain meadow 4± miles long and 1± mile wide with lush mountain grasses and a private water supply. The seller represents that there are nearly 880± acres of naturally sub-irrigated high mountain meadows and 400± acres of timber/grazing land. It’s not uncommon for this natural reservoir to attract an abundance of wildlife, including deer, elk, waterfowl, birds of prey and the occasional black bear. The current owners have used these wild meadow grasses for high valued, outstanding grass hay. This would also make an excellent summer grazing for both cow/calf pairs or stockers. Additionally, Seller’s Marsh offers unlimited recreational opportunities including big game hunting, bird watching, snowmobiling, hiking and relaxation. This extremely private property is completely surrounded by US Forest Service land on all sides, providing easy access to thousands of acres of public lands. This is a hunter’s dream, complete with 3 L.O.P. tags for buck mule deer and bull Rocky Mountain elk (buyer to confirm with ODFW). Rare and beautiful, Sellers Marsh is full of potential and something to be seen!